The Belize Meteorological Department has just sent out a press release with an update for Invest 93-L (tropical wave disturbance) currently in the eastern Caribbean. 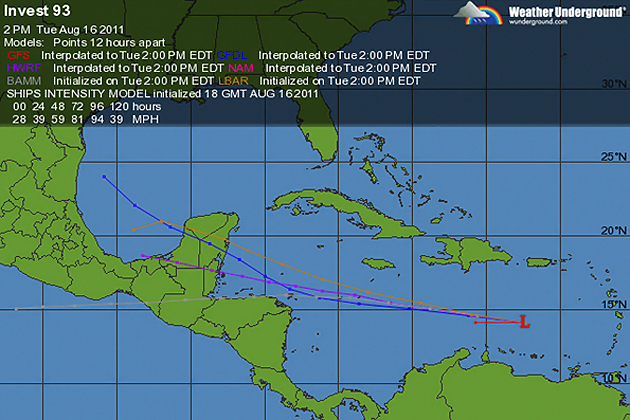 On its projected track, Invest 93-L will be near northern Belize or southern Yucatan by Saturday morning, August 20, 2011. Regardless if it develops into a tropical storm or not, Invest 93-L will bring an end to the August dry spell or maga season or "caniculas" and could produce rainfall and runoff conducive to flashfloods and inundations. Remain Vigilant! Ramon Frutos, Chief Meteorologist of Belize, comments that model tracks for Invest 93-L (presently in the eastern Caribbean near 14N 67W) project the disturbance to move on a general westerly direction through the central and western Caribbean. Environmental conditions in the eastern and central Caribbean are not expected to be conducive for rapid development, but will become more favorable as the disturbance moves west of 80W on Thursday and Friday. Once Invest 93-L reaches the western Caribbean later Thursday into Friday, the chances of development will increase as it encounters a more favorable environment; in fact, the latest European model guidance forecasts 93L to become a tropical cyclone by Thursday evening over the western Caribbean. The GFS model does not favor strengthening to a TC in the western Caribbean. 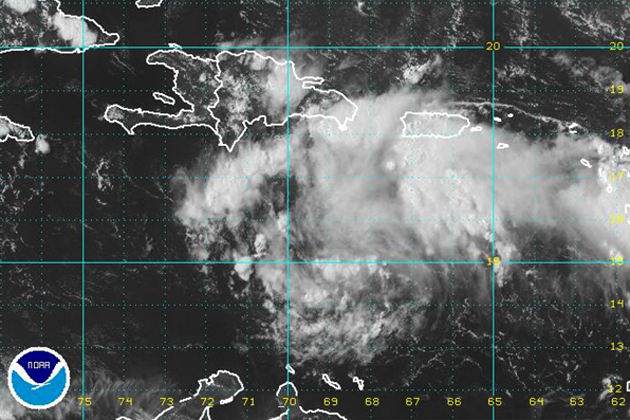 Please keep vigilant of this storm through daily updates from the Belize Met Service.